Extended Turkish families and Berlin veterans, art students and guys in gold chains – betting offices, classy Italian restaurants, bars with 80s charm. Places like Berlin-Wedding probably exist in most German cities. It’s the kind of neighborhood that isn’t listed in any travel guide, that’s laid-back, self-reliant, and heartfelt and authentic as a result. It’s these places and the people in them that “Der Wedding” writes about. The focus is on topics that you won’t find in glossy magazines but you will find right around the corner. 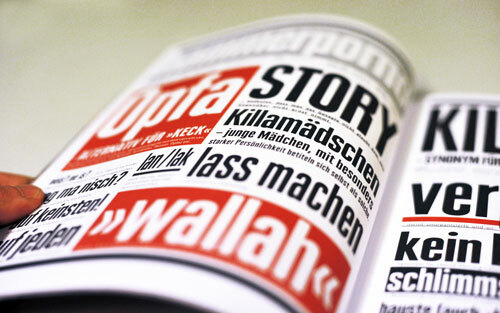 Furthermore the journalistic approach is patient, it digs deeply into the subject matter, and packages it all in an innovative and unique design, which reinvents itself with every issue. 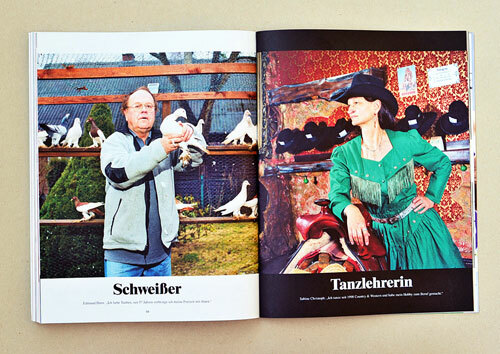 “Der Wedding” is the only magazine in all of Germany that focuses specifically on everyday culture. 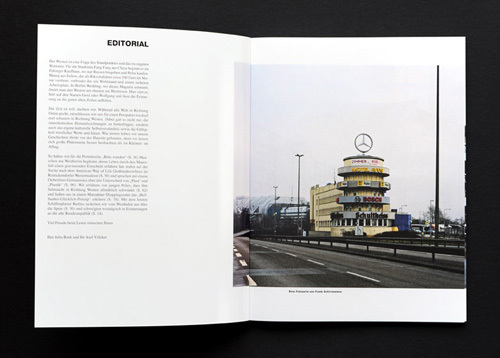 Each edition explores a different phenomenon of everyday life where urban living, society, and culture intersect. 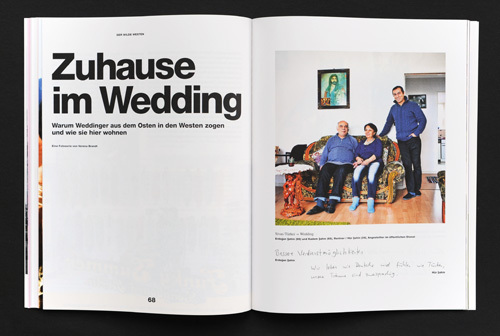 Featuring gripping reportage, portraits, and interviews, as well as large photo-spreads and elaborately produced illustrations, “Der Wedding” deals with the little stories of daily life in the big city. It accompanies people on the street and reports – candidly and at length – of their experiences, problems, hopes, and ideas. 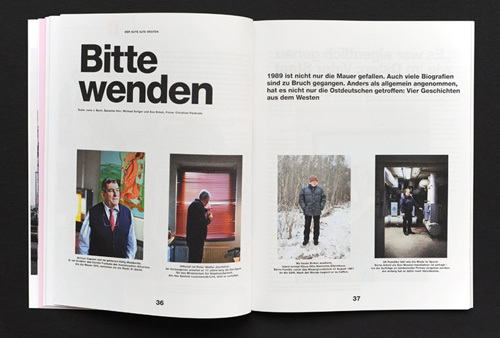 The magazine is independent and appears once per year. The concept of “The West” is a question of perspective. For the student Fang Fang, the West begins in a Peking mall,whereas the Indian rickshaw driver Manoj associates it with wealth and job security. 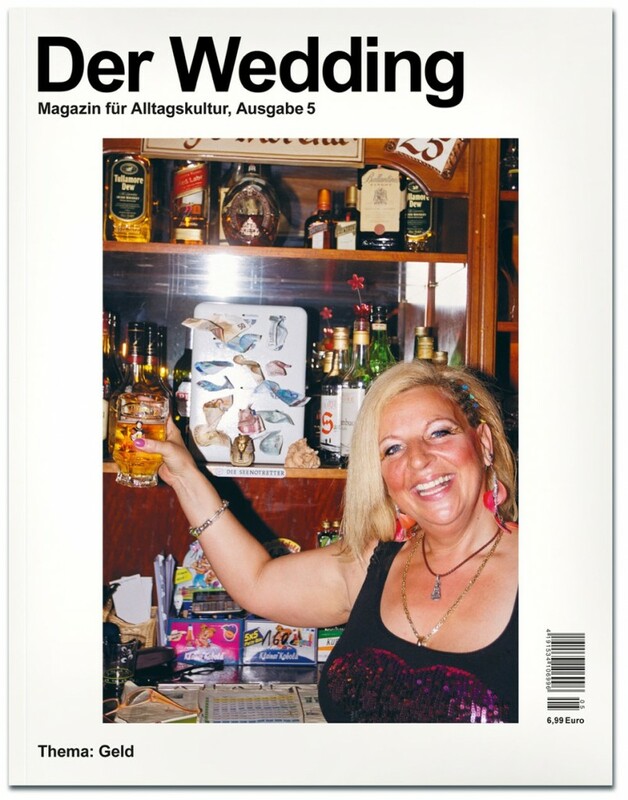 In Berlin-Wedding, where this magazine is produced, you’re most likely to find it at the bar, answering to the name of Gerd or Wolfgang, and reminiscing about the good old days when residency in the city came with a monthly government subsidy. The time is ripe! 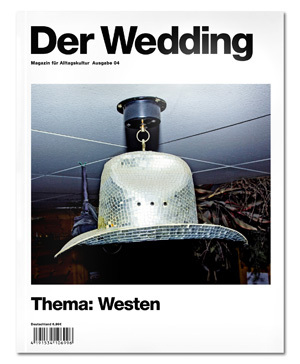 While the whole world looks eastward, the current edition of “Der Wedding” turns to the West. 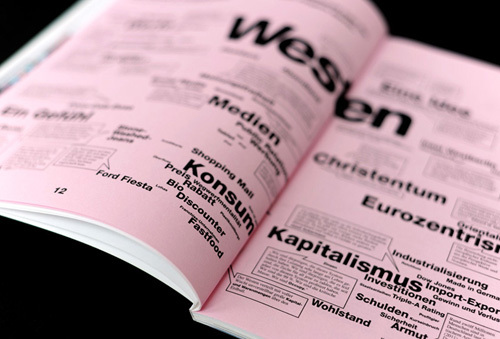 In this issue, not do we challenge orientation within Germany, but also the cultural self-understanding and validity of western values and ideas. 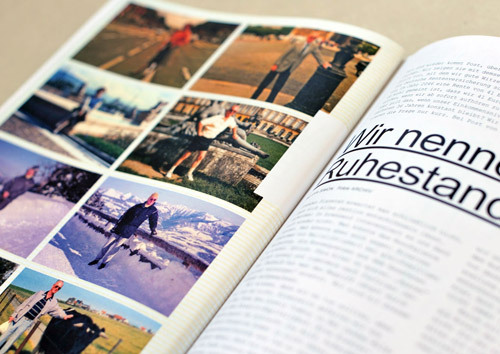 This edition features fascinating reportage, interviews, and portraits, including stories of people from West Berlin who recount how the fall of the Wall ruptured their lives, or of young Poles in Berlin who tell how their yearning for the West is gradually waning. An East German linguist explains the difference between the East German plast and the West German plastik, and the manager of the Marzahn Eastgate Center lays out the perfectly constructed success formulas used by western consumer society. 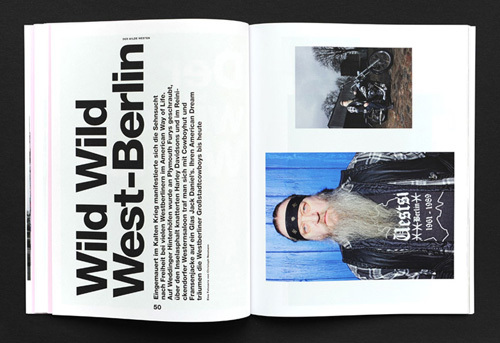 West Berlin city cowboys show off their Harleys, and Wedding residents give us a tour of their homes. To order online scroll down. Back when there was no one on the streets in Wedding and you could work as a barkeeper or a gas station attendant, back when rents were more certain and a résumé fitted on a side of paper – Wedding was known a red working-class district. Today, this part of town is known for its rate of high unemployment, the classical blue and white-collar milieus are disappearing, the number of freelancers and temporary positions are rising steeply. 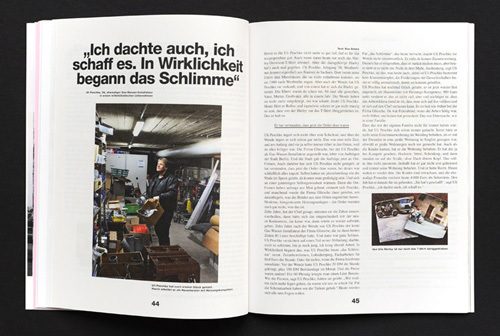 Together with writers, journalists, and photographers from across Berlin, Axel Völcker, Julia Boek, and Britta Geithe have put together a collection of fascinating stories on the theme of “Work” that have presented with meticulousness graphic design. In this edition of “Der Wedding,” you’ll read what happens if you try to buy a beggar’s cardboard sign, and you’ll meet Jens, who turned his back on his old life to find freedom as a street artist. You’ll see fishermen and collectors practicing their favorite past-times, and you’ll listen in how people talk to one another in the office these days. With an eye for the details in the big picture, “Der Wedding” is our homage to everyday life. 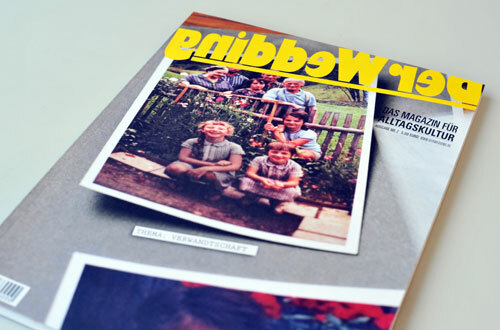 Our second edition is all about “Relatives.” Some 30 writers, journalists, and photographers contributed fascinating stories and photos, all laid out in meticulous design. In “Der Wedding,” you’ll find out about the (in)famous Sinti and Roma family loyalty and investigate whether the traditional German abendbrot is still where the family comes together. 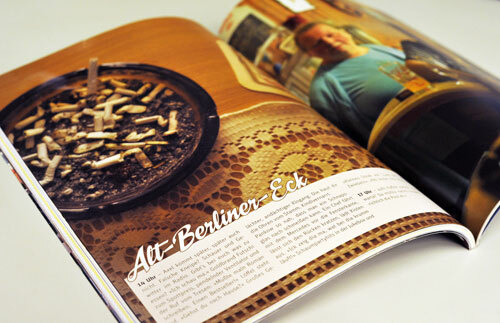 Take a look around the Charlottenburg apartment of the 97-year-old Hildebrandt, so carefully documented by her grandchildren, or read accounts by Berlin playwrights of packing up or receiving care packages from the West in their youth. 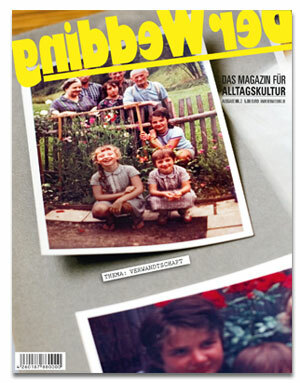 As the title suggests, this first issue gives an insider view of the district of Berlin-Wedding. You will find photos and sound-bites from old regulars bars in local bars, a glossary of Turkish slang, a first-ever peek into international social clubs, and some car test reports from people on the streets. 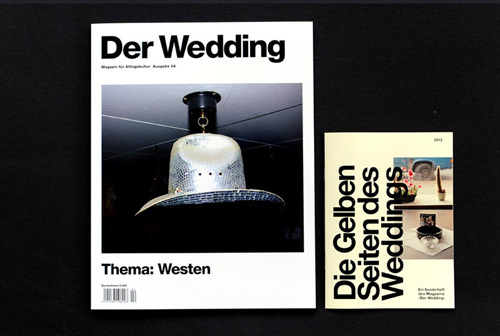 You can purchase Edition 05 and 04 of “Der Wedding” for 6.99€ plus postage. 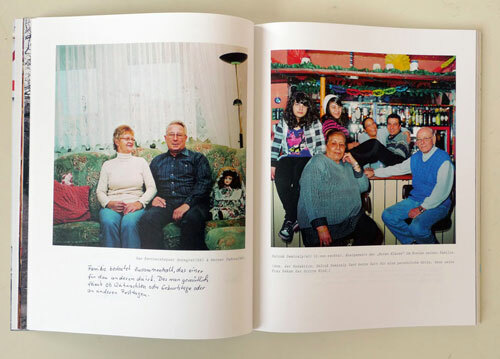 Edition 02 on “Relatives” is also available for 5.00€ plus postage. Edition 01 and 03 are sold out. Payment can be made via PayPal. If you wish pay by bank transfer, please use the form below. Germany: 1 magazine 2.00€ and each additional magazine +0.50€. International: 1 magazine 4.00€ and each additional magazine +2.50€. Please fill out the following form. You will be sent a receipt as soon as we receive your order. The order will be shipped once the payment is completed. 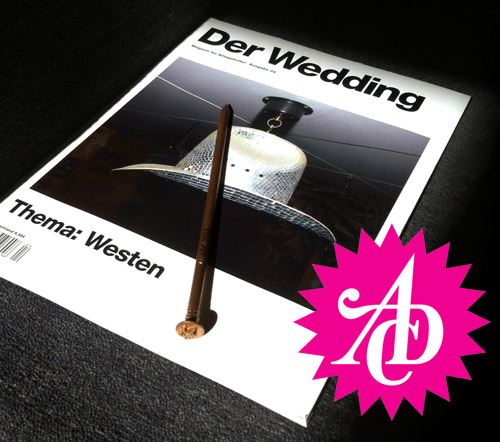 “Der Wedding” 04 was distinguished with an ADC Nail in Bronze for the category “Editorial”. 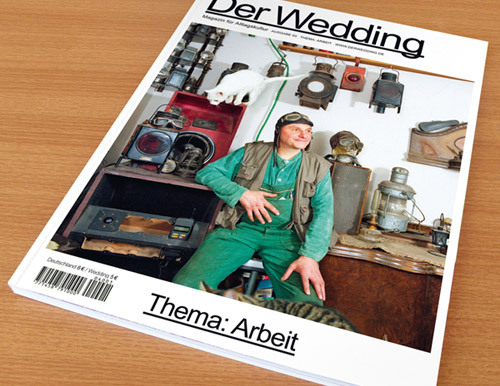 “Der Wedding” #02 won the “Gute Seiten Award” for the Best Independent Magazine of Germany 2010. 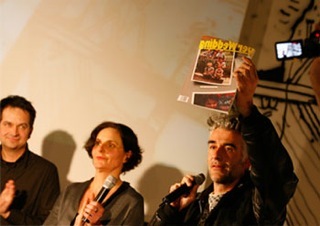 The jury consisted of Florian Waldvogel (director, Kunstverein Hamburg), Heike Grebin (professor of typography, Hamburg University of Applied Sciences), Karsten Henning (art director, Art – Das Kunstmagazin) und Ale Dumbsky (director, Radar Independent Film Festival). 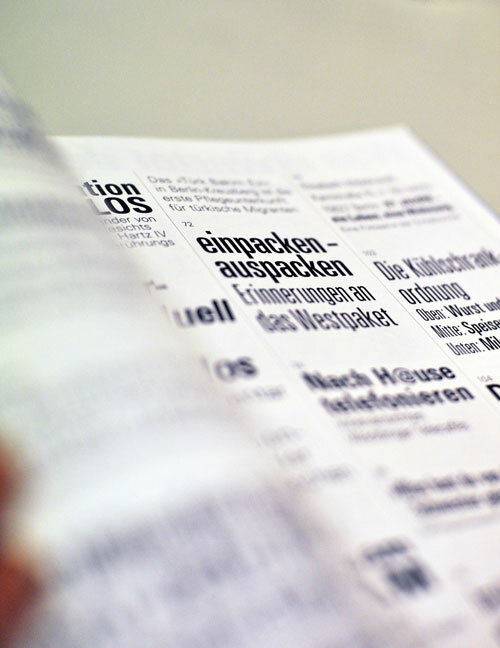 40 independent German magazines competed in the contest. 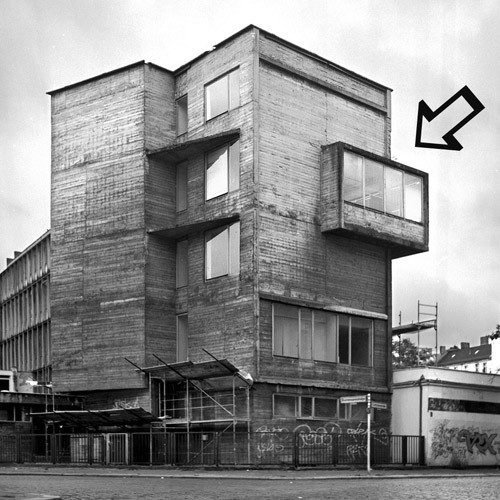 The prize was awarded at the Kunstverein Hamburg. 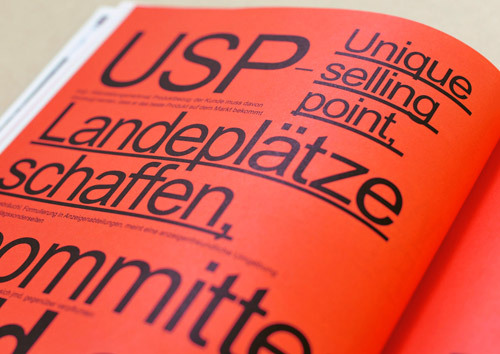 The Redaktion & Gestaltung office was founded in 2007 by journalist Julia Boek and graphic designer Axel Völcker. 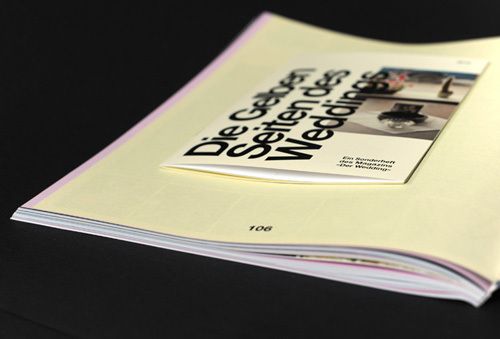 In addition to the yearly release of the magazine Der Wedding as well as their respective projects in freelance journalism and design, Boek and Völcker concentrate their time on the design and production of various print products, including customer magazines, yearbooks, and catalogues. 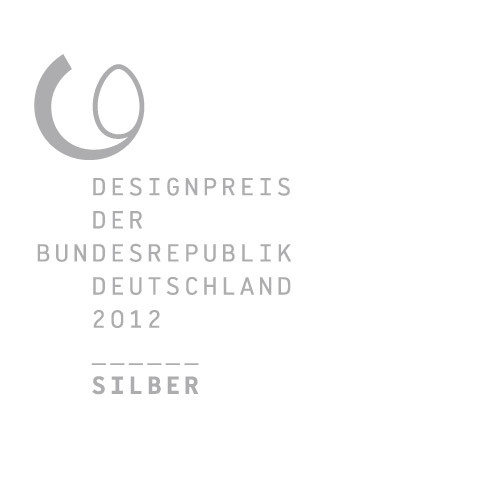 Their clients include universities, various foundations and agencies, and the Berlin Senate for Urban Development. 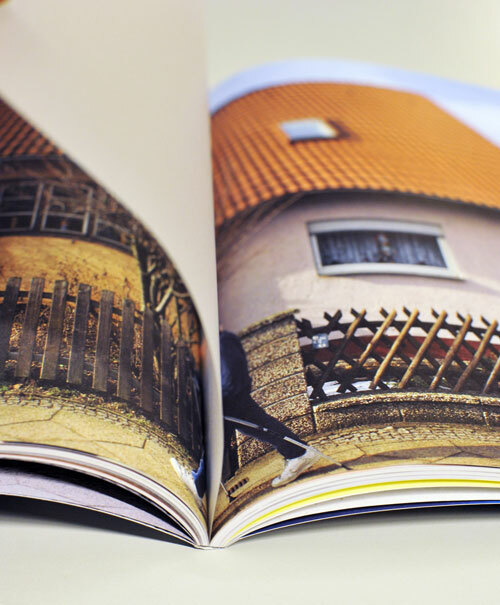 The editing office oversees a wide network of authors, writers, photographers, and illustrators, all of whom contribute work to themes such as the big city, urban development, culture, society, and everyday living. The offices are located in Berlin-Wedding in „ExRotaprint“, an industrial space once used to manufacture printing machinery. 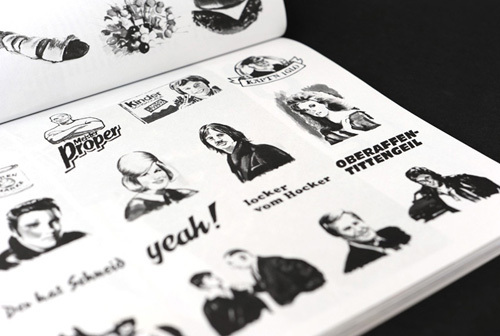 Axel Völker studied Communication Design at the University of Applied Sciences for Technology and Business in Berlin. 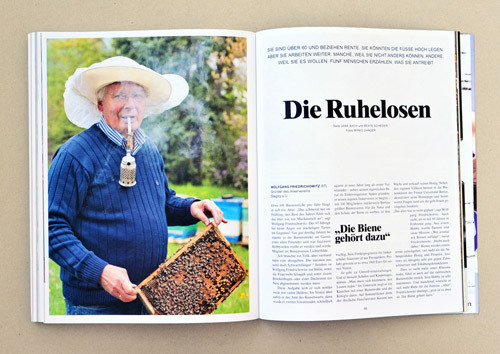 In addition to his position as Publisher and Art Director for the magazine Der Wedding, Völcker works as a freelance graphic designer and photographer with various newspapers, magazines, and corporate publications throughout Berlin. 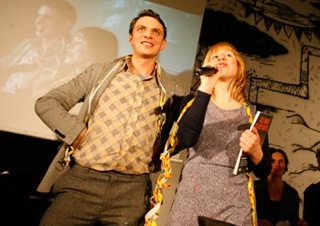 He also teaches at the Kunsthochschule Weißensee. Julia Boek studied Literature, Political Science, and European Ethnology at the Humboldt University in Berlin. 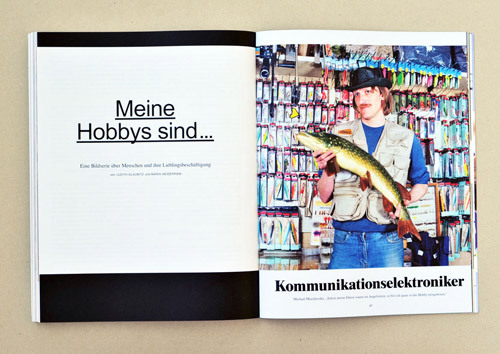 Today, she is the Editor-in-Chief of the magazine Der Wedding in addition to working as a freelance journalist for various newspapers, magazines, and corporate publications in Berlin. 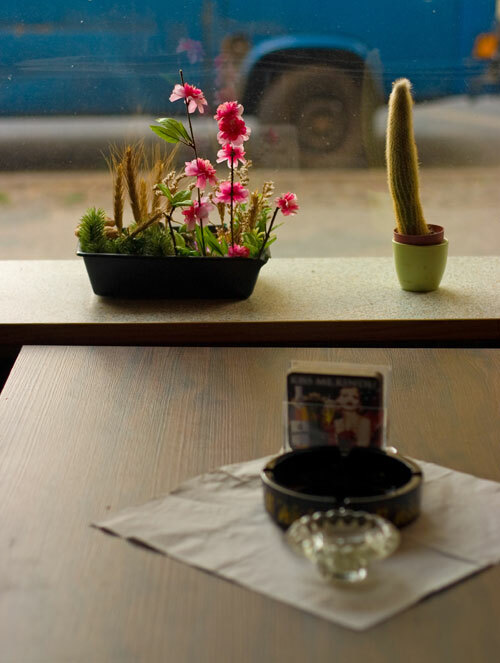 Her journalistic work focuses on everyday situations found in society, art, and culture. From time to time, she teaches at the Kunsthochschule Weißensee and other institutions. 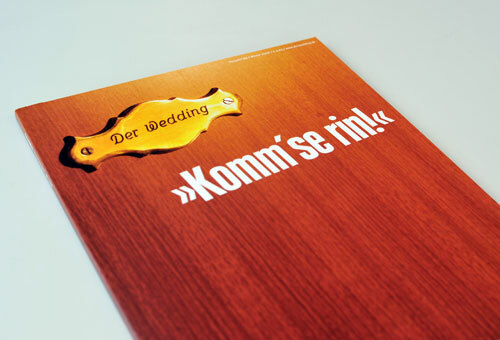 The office is located in Berlin-Wedding in “ExRotaprint”, an industrial space once used to produce printing machinery. Media kits as well as advertising options and prices are available on request. Berlin-Wedding. 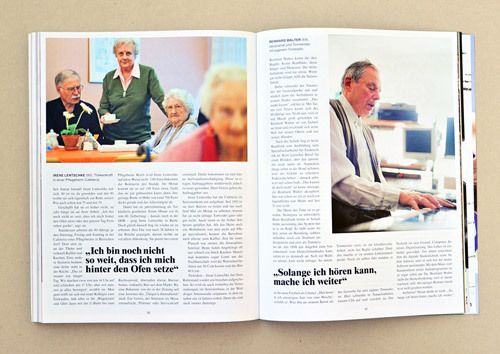 Each and every day on Müllerstraße – once called the Ku’damm of north Berlin – people from every walk of life come into contact with each other. Together, they give the street its unique flavor and transform it into a veritable cultural and ethnic melting pot. A hive of social activity that creates both conflict and opportunity, this part of town is characterized by its high concentration of social problems and unemployment, dwindling purchasing power, and an increasing need for investment in schools, daycare and leisure centers. At the beginning of April 2011, the area of Mitte-Wedding/Müllerstraße – stretching over 260 acres, the largest among six others in the Mitte-Wedding district – was declared a Berlin redevelopment area. This was a great opportunity for the 3.5-kilometer long thoroughfare that is home, neighborhood, work place, and shopping strip rolled into one, and a key starting point for documenting the current situation so that the “now” and “later” becomes tangible. 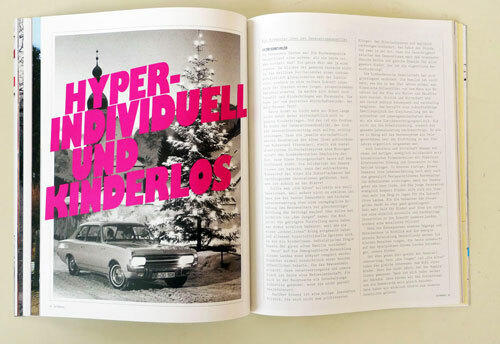 In well-researched reportage, enthralling portraits, and fascinating interviews with gorgeous photo-spreads and elaborate illustrations, the magazine “Die Müllerstraße” is dedicated to the characteristic features and traits of this noisy urban thoroughfare. 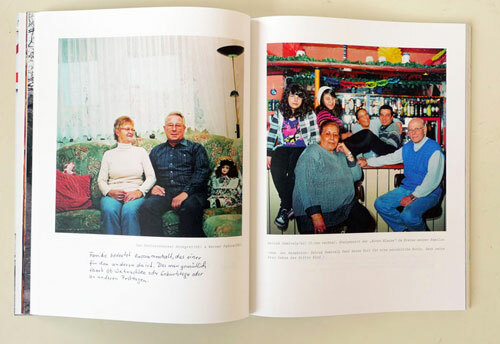 It engages with people on the street, in shops, in the café and living room, and tells – directly and candidly – of their daily experiences, problems, hopes, and thoughts. 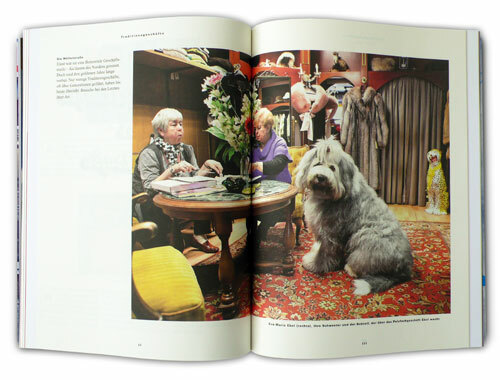 With a focus on the details in the big picture, the magazine records and preserves the Zeitgeist of a street. Rummage through the clothes-racks and window displays of the remaining traditional businesses, knock on the doors of Müllerstraße’s Müllers, and try your luck in a casino slot machine. Follow the discussion between two experts on the effects of the gentrification in Berlin-Wedding, and discover the district’s “Jrüne Lunge” – just a stone’s throw away from Müllerstraße. Don’t expect superficial entertainment; experience the street as it really is. This project was supported with federal and local funding as part of the urban development programme for „Aktive Zentren“. 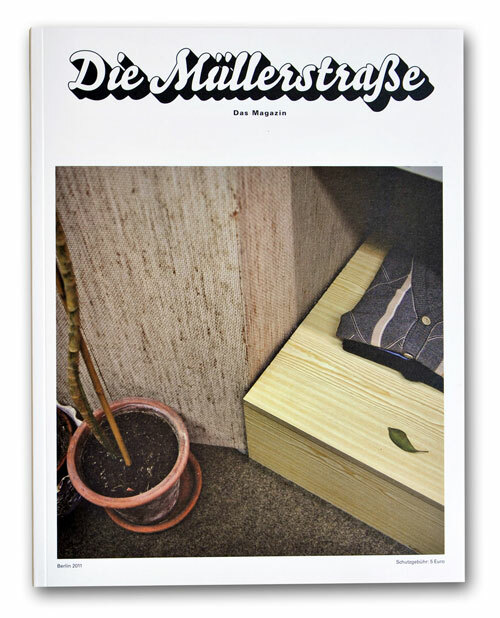 The magazine “Die Müllerstraße” is sold out. All content (text and images) are available to internet users for private and personal use only. All other use is prohibited. No responsibility is assumed for the content of third party pages linked from this website.